Larry Littlebird (Laguna /Kewa Pueblos) is the Founding Director of Hamaatsa, a Native-led nonprofit organization where he celebrates an indigenous holistic way of life. 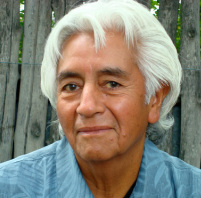 Over the past five decades, Littlebird has been a strong Native voice with his multi-faceted work as an artist, filmmaker, storyteller/author and social activist. He was one of the first American Indians to produce, write and direct films for and about Native people in the United States. He played the lead role in the feature motion picture, House Made of Dawn, based on N. Scott Momaday’s Pulitzer-Prize winning novel. This film was archived by the Smithsonian National Museum of the American Indian and declared a watershed moment in the history of Native filmmaking. A master storyteller and author of Hunting Sacred, Everything Listens; Littlebird shares spiritual roots of sustainability and indigenous ways of blessing for inspiring transformative leadership and social action. His signature experiential programs have had a profound impact on people’s lives, globally, nationally and locally. Learning to Listen© is a provocative spoken word experience that Larry Littlebird presents as a keynote speaker and custom tailors for group retreats, conferences and story camps. 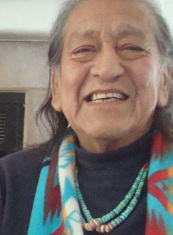 Growing up at his mother’s village of Gwish-tee on the Laguna Pueblo, he spent much of his childhood out on the land with his Gramma and Grampa at their sheep camp and at Kewa his father’s Pueblo, where elders and kin shared freely with him, stories, songs, and spiritual prophecies. These stories that flow from his remnant oral tradition lineage continue to shape his work and life. 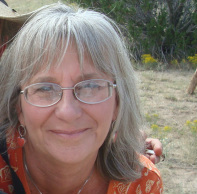 Deborah Littlebird is co-founder and executive director of Hamaatsa, a cultural retreat center and sustainable farm. Educated at Kendall School of Design in Michigan, Deborah brings a wealth of creative talent and vision to worthy projects, tapping into her extensive professional experience as a producer, editor, graphic designer and art director. Over the past twenty years, Deborah has produced national conferences, theater productions, documentary videos and story podcasts, including six tribal American national storytelling conferences, Coyote Gathers His People story theater productions for the John Denver Windstar, Coca Cola and other clients; and The Faraway Drum, a national touring theater collaboration between Southwest and Alaskan Natives. Alongside Larry Littlebird in their collaborative work, she has produced companion educational curriculums, workshops, podcasts and videos informed by indigenous oral traditions, culture and life ways. Deborah is also an organic farmer, gourmet natural foods chef and self taught herbal layperson. She shares her passion for growing and cooking healing foods through farm dinners and retreats at Hamaatsa. After working for many years as an editor for her author-husband, Larry Littlebird, Deborah is now writing her own novel, Peregrina, a historical fiction which tells the stories of three brave woman spanning past, present and future timelines and gives voice to the historical trauma of Native people. The arcing story is a parable for how to live simply and harmoniously on the land at this critical hour on earth and reminds us that we are all on our own peregrination - a pilgrim seeker on a journey of being human crossing the borderlands of the soul. Shebana Coelho is an award winning writer and documentary producer, director and editor. She received a Fiction Fellowship from the New York Foundation for the Arts (NYFA), a Jerome Foundation Emerging Artist's Fellowship and a Fulbright grant to Mongolia to experience and record life in nomadic communities. Her documentary work has been broadcast on American Public Television, National Public Radio, The Discovery Channel, Noggin/Nickelodeon and BBC Radio Four and has received a Telly award and a South Asian Journalists' Association (SAJA) Best Documentary Award. 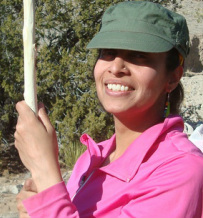 She produced, shot and edited a multimedia documentation project for the Santa Fe-based Institute of American Indian Arts’ Center for Lifelong Education (CLE) and co-produced and edited a video for Hamaatsa. She was born in India and lives in New Mexico. 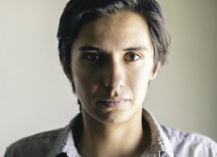 Jesse Littlebird is an emerging voice in the Southwest as a visual artist and storyteller. He started his own media company at age 21 and is in high demand for quality local projects including documentary and short videos, music and portrait photography accompanied by creative branding and design services. Charles Fox is the President of Native Sky, Inc., Albuquerque, New Mexico. Native Sky fosters opportunities for all people to acknowledge and appreciate their indigenous ancestry. Native Sky’s mission is to serve as a vehicle for the advancement of understanding between diverse cultures and experiences through cutting edge media and thought provoking, entertaining programming. Twenty of Fox’s thirty years as an award-winning media professional (including 7 Emmys) have been in leadership roles. In 1993 he was appointed by President Clinton as Director (CEO) of WORLDNET TV and in 2011, Fox launched FNX: First Nations Experience, the first PBS TV channel dedicated to Native American peoples. Other highlights of his career include producing and writing cultural programming for ABC, CBS, NBC and PBS networks and affiliates; and receiving the Meritorious Honor Award from the Broadcasting Board of Governors where Fox was recognized for his achievements for leadership, staff development and innovative programs. As an architect, David Riley has a long history of providing natural climate induced designs that incorporate solar and daylighting techniques. His urban planning and design thoughts have been termed "visionary". David has been involved in many community affairs in Albuquerque and on planning tasks forces for State, County and Local governments as well as New Mexico Pueblos. From1985-2000, David was a guest lecturer and instructor at UNM's School of Architecture and Planning from which David himself graduated in 1977. It was during this time, that David began to take a serious look at his educational experiences and observed that a European philosophy of design was still being taught as the dominant concept in American design institutions. As an architectural activist, David has formulated a design approach through what he terms "Philosophica de Principalis do los Pueblo Nuevo". These concepts draw from his ancestry of the Hopi and Pueblo Worldview to engage mankind in a new conversation with his Universe and to create designs that contain and express the Human Spirit. 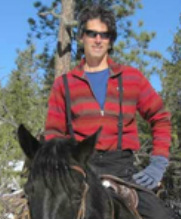 Marc Choyt is Director of Fair Jewelry Action, an environmental justice and human rights network. He is a journalist and public speaker, covering ethical jewelry and sustainability issues. As President of Reflective Images, a designer jewelry company in Santa Fe, New Mexico which produces unique conflict free diamond wedding and engagement rings Marc was named as an honoree for Sustainable Leadership for the state of New Mexico in 2012. His upcoming book, The Circle Manifesto, is about regenerative business practices based upon the circle of life. 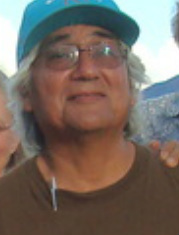 Harold Littlebird is a nationally recognized potter and singer/songwriter. He currently resides in Oxford, Florida.